The grass is always greener, right? In this day and age, I think that contentment can be a hard thing to come by, and an even harder thing to hold on to. I am not sure if it is because of the internet and social media, but I personally feel like they go hand in hand. We see what other people have and we want it. Everyone is putting the best parts of their life out for the world to see, and hiding the bad stuff deep beneath the surface. I mean, how many times have you looked at someone's blog or instagram and thought "Wow, they have the perfect life." Every time I think that, I stop and ask myself what their life is really like. We have no way of knowing what is actually going on in their life, but it is hard when all we see is sunshine all the time. It is hard to feel like what we have is good enough. Hard to feel like we even have enough. Maybe even hard to feel like we are enough, sometimes? When our family first decided to move over a year ago, we were really discontent with where we were living. Most of it was the location-it was just on the edge of a not very safe neighborhood. But there were things about the house that we also didn't like. When we decided to list our house, we started dreaming about our next house. 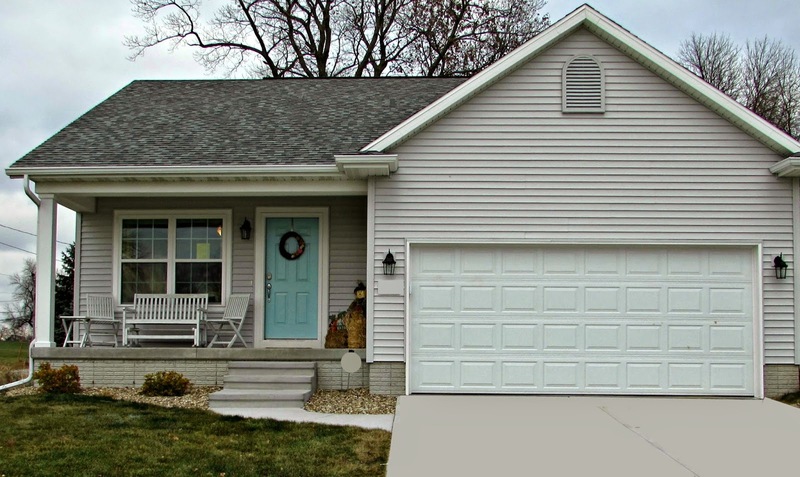 Would we buy a newer house, a smaller house, a bigger house, an older house? We didn't know at first, but it was fun to dream! Soon, though, dreaming led to discontentment. The more we dreamed of what the future held as far as our home went, the less content we became with our certain circumstance. All of a sudden, we hated living there. We hated the most random things that never seemed to bother us before we knew we were moving. All of a sudden, everything became annoying and glaringly obvious and we couldn't wait to get out of there! I feel like this happens so often with dreaming. The more we dream about something and hope for the future, the less content we become with our reality. Sometimes it's fun to dream. My husband and I love thinking about the future together. Dreaming about what holidays will look like as our kids get older. Talking about trips we hope to take together. Looking forward to years to come. Dreaming can be totally harmless and really good for our souls. Until we hit that place where we are only looking forward to our dreams and don't want to live in the present. I think it is really easy to cross that line and go to "that place". I know I have been there many times in my life. Sometimes it is just something little like living room decor. Sometimes it's dreaming about a new craft or hobby I want to pursue and becoming discontent with my current abilities. Sometimes it's much bigger, like when I dreamed about being a mommy, but wasn't living that reality. Are you sensing a theme here?! I seem to struggle somewhat consistently with contentment in one aspect of my life or another. The thing I have noticed about downsizing is that you really have to continuously choose contentment. There are a lot of aspects about moving to a smaller space that can make you discontent. Like, um, the lack of space. Having to change your ideas to fit your new space. Needing to figure out where you are going to fit more children and all of their stuff. Being forced to get rid of things because you simply don't have a place for it (like the piano my mom passed down to us-so sad). It can be tricky. Having lived in our smaller space for 9 months now (which is so hard to believe), I am learning that it is more than worth it. The physical closeness our family gets to experience (someone is always in the next room), less space to clean, lower energy bills--these are just a few of the reasons I love living in a small house. I won't lie though, it can be hard not to wish for more when you're living small. Dreaming of more rooms, a bigger dining room to host company, and taller ceilings. I've wished for them all in the last 9 months, but when I get to that place, I go back to the reasons this small space brings me joy. 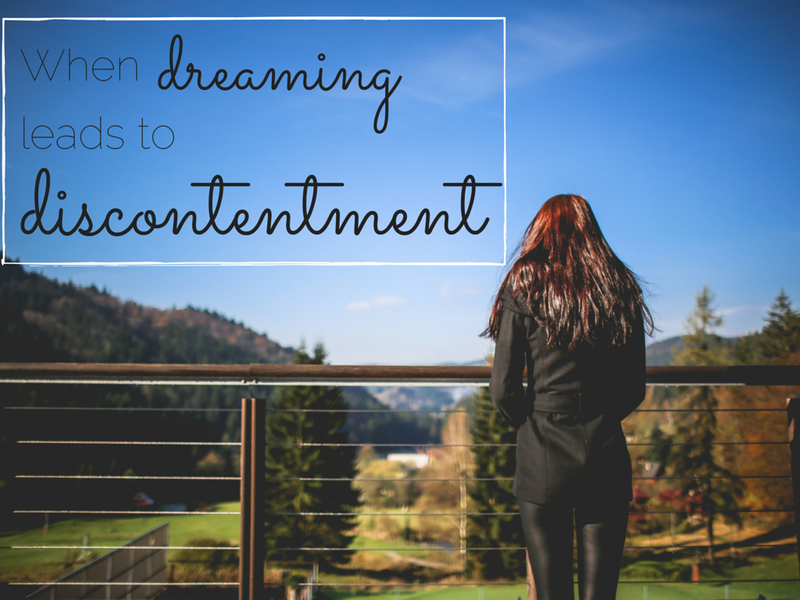 What situations do you struggle with overcoming discontentment in? How do you balance having fun dreaming about things and living in your reality?